Are Crocs good for Your Kids' Feet? If you're looking for a definitive ruling on how Crocs treat your feet, be prepared for disappointment. My answer is: it depends. If you’re wearing Crocs as pool or beach shoes, they’re pretty great. They have better arches than most sandals and, as an added bonus, they also protect your toes! 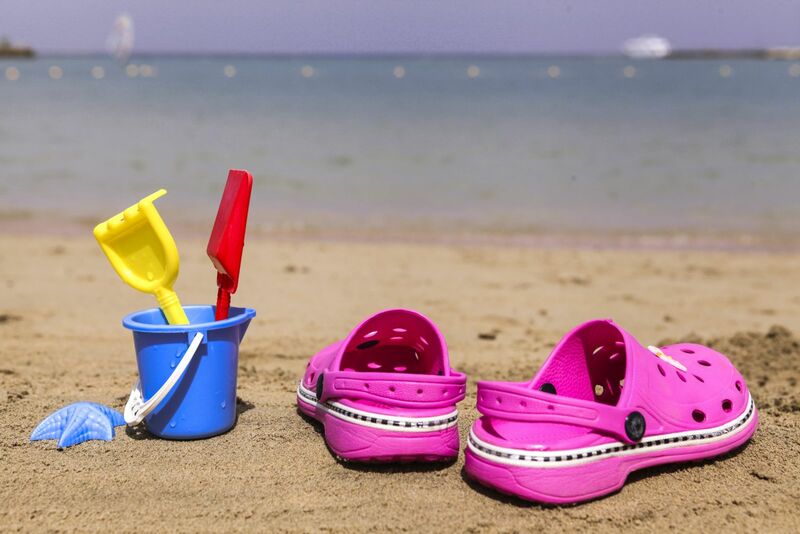 In fact, the washable material makes Crocs a perfect pool shoe since, if you do pick up a bacteria or foot fungus while walking on the well-tread pool surfaces, you can wash away the germs before bringing those shoes into your house. If, however, you’re looking to have your child wear Crocs all day, I’d suggest making a different decision. When you wear Crocs, your heels aren’t secured, meaning you’re more likely to grip with your toes and develop nail-and-toe problems as well as corns and calluses. Additionally, while Crocs do have built-in arches, the shank of the shoe (the middle part connecting the toe to the heel for supposed foot support) is completely flexible, and flexible shoe shanks have been linked to arch and heel pain, in kids and adults. Plus, children should never wear Crocs while riding escalators: the flexibility, and their propensity for slipping on and off, make them a limb-loss hazard on moving walkways as well. The bottom line? Crocs are great in small doses, but by no means should they be treated as an all-day every-day kind of shoe. Your feet (and your fashion-savvy friends) are certain to agree.